Vegetarians love them, but meat friends also prefer them after adding mince. 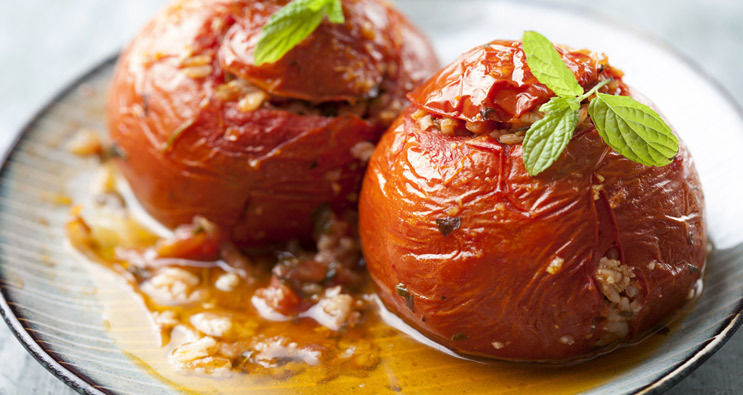 These are the famous "Gemista" (stuffed vegetables), the most popular Greek dish in the summer months. Housewives prepare them by filling tomatoes, peppers, aubergines, potatoes or zucchini with rice, fresh tomatoes, onions and various other herbs and spices. For the friends of meat, the stuffing also contains minced meat. Feta cheese can also be added in the filling to give a strong flavour. In general, however, stuffing can vary from place to place. In any version, "Gemista" is undoubtedly the absolute summer dish. 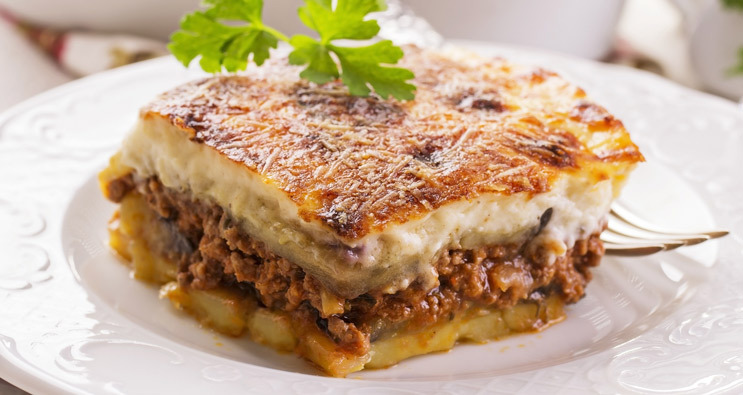 One of the dishes that stand out in Greek gastronomy is Moussaka, a delicious dish of cooked minced meat, potatoes and aubergines. Moussaka takes several hours of preparation, but the final result fully satisfies the lovers of good food. Its preparing requires four different kinds of cooking. After having fried eggplants and potatoes, boiled béchamel sauce, and sauteed minced meat, in the final phase all the above are put in layers -in the order that tradition requires- in a baking pan and they are baked in the oven. It is no coincidence that it is perhaps the most popular dish of tourists visiting Greece.